Finn and the Swirly Spin™ slot preview! 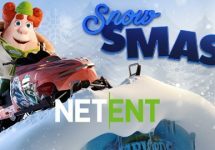 The title for last new slot from the Netent studios for 2017 was revealed at the beginning of September and today we got the first glimpse on how it looks and plays. 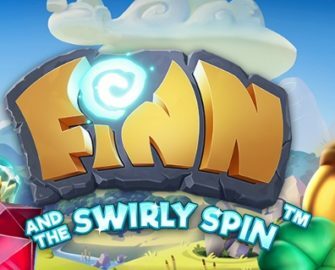 It goes by the name of Finn and the Swirly Spin™ which sounds very much like an adventure story that could swirl us into mega wins. A total surprise is the game window as it does not feature the usual reels, rows and pay lines with symbols landing on the reels. Instead, as the name suggests, they follow a spiral pattern starting at the outside corner and ending in the center position. This new spin mechanic looks exciting and is a welcome change from the norm. The game takes us to the emerald isle where a magical leprechaun called Finn awaits your arrival in Finn and the Swirly Spin™. 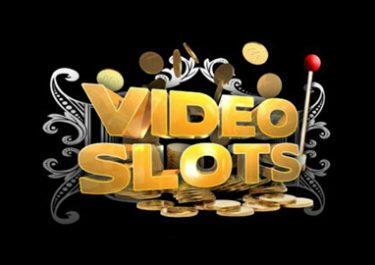 This 5-reel, 5-row video slot features a Wild Symbol, a Free Spins Key, 4 different types of Free Spins and a Random Feature with 4 variations. TRTP of this medium variance game is set at 96.61%, featuring a maximum win of 500 coins for a single 5OAK. The maximum win on a single spin with consecutive avalanches has not been published yet. 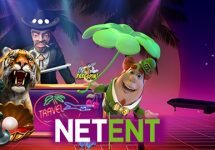 Bet sizes start a $0.10 and go up to $100, easily adjustable with the known Netent controls for coin denomination and bet levels. The game is in HTML5 format, making it available on desktop, mobile and tablet across all OS platforms. 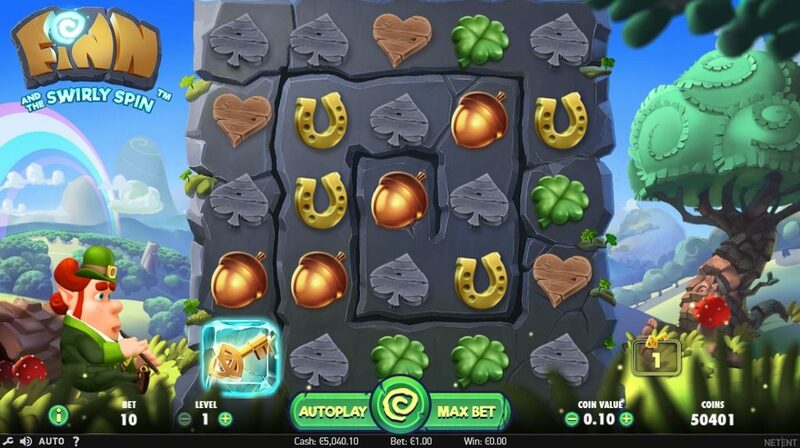 Only six pay symbols on this slot, excluding the Wild symbol, with spades, heart, clover, horseshoe, hazelnut and a red gem in ascending order. Wild symbol is a smiling yellow star created when winning combinations explode during a spin. No scatters on the reels as the bonus features are triggered when the key symbol reaches the center of the swirl in one spin. On top of the random features, the game surprised us with four types of Free Spins. The bonus feature is activated when the locked key symbol makes it to the center of the swirl on one spin. 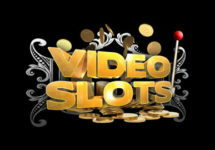 Each Free Spins feature needs a specific amount of collected keys to be open for selection. This looks like an exciting and entertaining game with a unique mechanic that has never been seen before in a slot game. Already, our first spins had us on our toes whether the key would make it to the center of the swirl. Our first impression is that it has medium volatility and wins in excess of 50x bet should be easily achievable on a frequent basis. 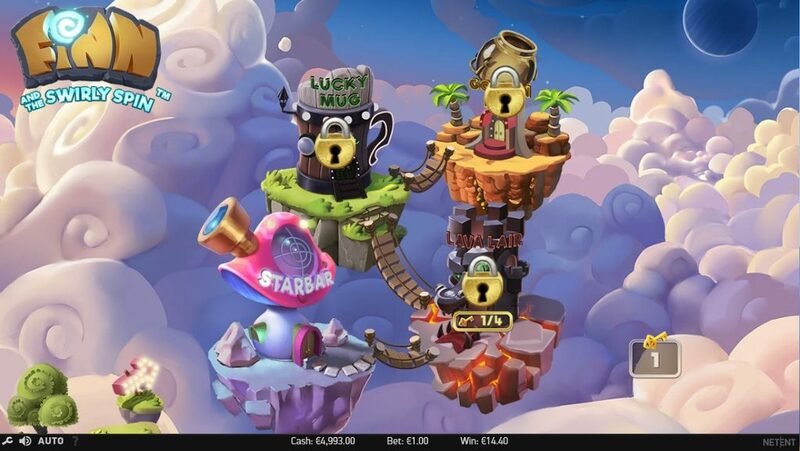 The Free Spins were not triggered as often as we were hoping but than that might be down to bad luck and may not be representative on how the game will play in the long run. We will have soon more detailed information on all other aspects of this game and will publish them the soon they are available. 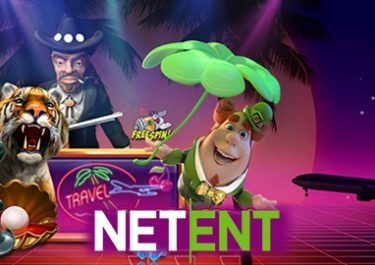 Meanwhile, we wish you happy spinning and good luck on all other Netent slots, while we keep our eyes and ears open.